This brief, modular introduction to social psychology offers streamlined focus on issues such as belief and illusion, prejudice and diversity, and love and hate. The brevity of each of the book's 31 stand-alone modules makes this the perfect text for covering the core concepts in the field. The new edition includes expanded coverage of cultural diversity and the most current research from the 21st century. 1. Exploring Social Psychology, 4th ed. 2. Exploring Social Psychology, 4th ed. 3. 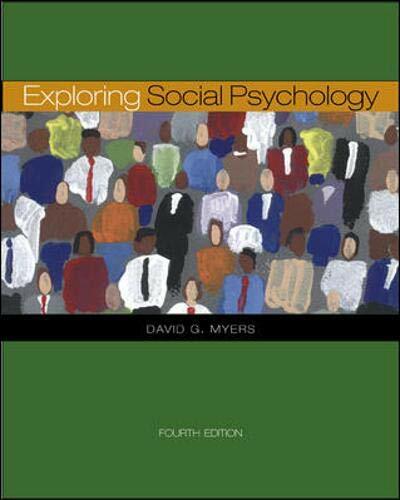 Exploring Social Psychology, 4Th Ed.